Baton Rouge, LA – August 26, 2014 – Commuters in the city of Kingston, ON, will have more eye-catching ads to look at on buses for the next five years, thanks to a new advertising contract renewal. Lamar Advertising Company (Nasdaq: LAMR) is pleased to announce their transit advertising agreement renewal with the City of Kingston’s Transit Division for an additional five year term through December 31, 2019. “We are delighted to continue our relationship with the City of Kingston and look forward to continued success working with the transit division,” said Steve Copeland, Vice President and General Manager of Lamar Advertising Eastern Canada. Kingston Transit’s inventory consists of 60 buses, providing conventional transit service to residents and tourists within the urban area of the City of Kingston and into the neighboring community of Amherstview. 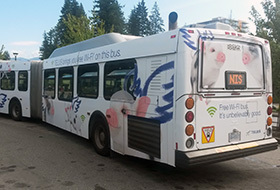 Lamar Advertising provides transit advertising opportunities to businesses seeking to reach consumers in the Kingston market. Advertisers can display messages on the interiors and exteriors of Kingston buses. 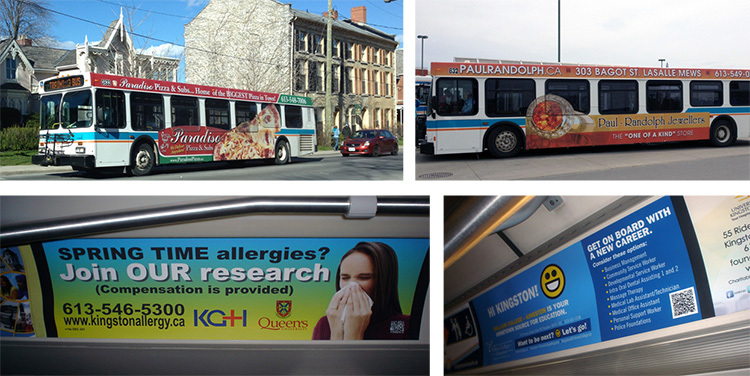 Advertisements running on the exterior and interior of buses in Kingston, ON. Through August 31, 2014, 58 pieces by American masters will be reproduced and displayed in 50,000 public locations nationwide. 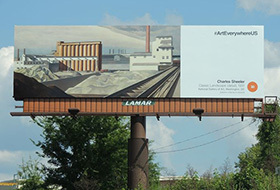 Lamar donated space on over 950 Bulletins, Posters, Shelters and Digital Billboards for Art Everywhere, the world's largest outdoor art show.